The other yankee tank waits to leave Northiam. These tanks were brought in from USA during WW2 for shunting purposes, and many were scattered about Europe, and there are several still in UK. 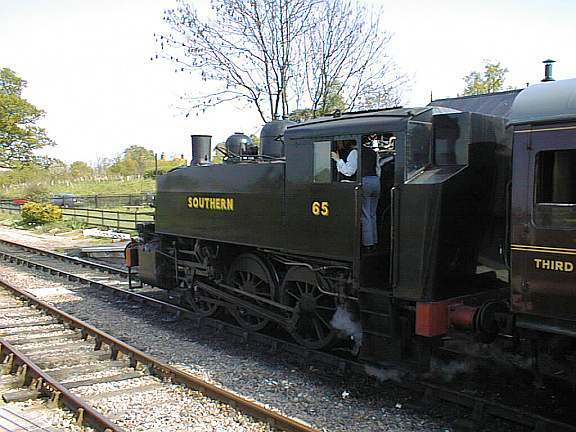 We have two, that were left at Ashford Works when all other steam had left, for departmental duties, and steam-heating tests. On their way to Barry scrapyard, they inexplicably ran "hot" and were stopped at Tonbridge, just handy for a successful rescue.